Hubby and I had a lovely trip to Belize. 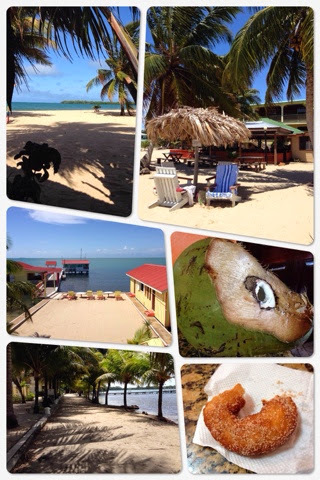 This time we went to Placencia instead of San Pedro and liked it much better. Trip highlights include: a sailing and snorkel trip, Monkey River trip, kayaking, biking, a day on Ranguana Caye, and a day at the lovely Turtle Inn. I read Orange Is the New Black and Game of Thrones on this trip.